Whether it’s formal or informal situations, you can find the act of handshake being performed everywhere in the world. For decades, centuries even, handshakes has been practiced to show mutual respect towards both parties. Handshakes can be used as a greeting or to finalize an agreement. How you shake someone’s hands can tell a lot about you as they are a vital part of the body language. Different kinds of handshakes send different signals to the receiver. Context plays a huge role in these interactions as well. As such, it is vital to know the Russian handshake etiquette before interacting with those from said country. In Russia, handshakes has its’ own kind of special meaning. In Russia, handshakes are appropriate but not obligatory. They are performed to greet someone or when you’re about to leave. The general handshake is a firm grip with direct eye contact and an appropriate greeting depending on the time of the day. However, when it is between a man and a woman, the handshake is less firm and more gentle. Women are to offer their hands first instead of men. In addition, looking away during the handshake is considered impolite and disrespectful. In the older times, men would kiss a woman’s hand instead for a greeting. This is no longer common in modern days. There are several situations and context when a handshake is performed. For example, during a wedding ceremony, the representative of the groom will say to the father of the bride, ” We have a merchant, you have the goods. Would you like to sell it? “. The merchant in here refers to the groom while the goods refer to the bride. When both parties agree to “the negotiations”, then a handshake is performed to confirm and finalize the deal. Other times handshakes are performed are during business meetings, visiting someone’s home, and more. For formal business situations, there are many business etiquette that must be followed. Russians take pride in their culture and are knowledgeable about politics, history, culture, and geography. As such, we must know about what to avoid and what to do during the meetings, including handshakes. Older Russians tend to be more conservative while younger Russians are more dynamic and individualistic. Handshake is a vital part when conducting business. As it is to show respect to the other party, not offering handshakes might offend them and the negotiations will go sour. Handshakes might be done several times during the meeting; as a greeting and parting. As said above, those you are negotiating with might be late or might cancel the meeting. 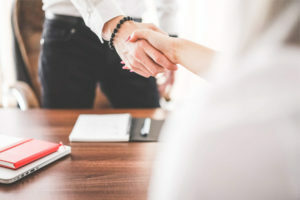 That’s why, it is important to make sure your handshake are still firm regardless, to signify that you are confident about the future of your meeting. This might go on for several more meetings before the last handshake is done to finalize the deal. shaking their hands over a threshold. Russians believe that a brownie-like creature called domovoi lives in the threshold of houses and shaking hands or kissing on the threshold would invade their spaces. This would result in misfortune befalling the family living in the house. This is a common superstition all Russians adopt. not removing your gloves. No matter how cold, it is common courtesy to take off your gloves before shaking someone’s hand. shaking with only clean hands. Regardless of how dirty their hand is, showing your respect towards them is a must. As an example, a mechanic is fixing your car and you offered a handshake towards them. Do not shy away if their hands are dirty. But if they politely decline, telling you that their hands are too dirty, then do not pressure or force them either. What matters was the attempt. over other people’s handshake. Do NOT perform handshake over other people doing it. This might happen when there are several people all offering handshakes. Doing so on top of others will bring misfortune upon all parties without any exception. only with those you know. In other cultures, people only shake hands with those they are acquainted with. In Russia, however, this is not the case. You shake someone’s hands to show them you appreciate them, even when it’s your first meeting. People will think you are rude for only giving them a nod of acknowledgement. Those are the general Russian handshake etiquette and what to avoid during it. Some other cultural articles that you might be interested in are: Meaning of Eye Contact in Russia, Ways to Greet Russian Women, Symbolism of Bread and Salt, as well as Even Numbers in Russian Culture.